I recently had the opportunity to read the book "Terrarium Craft: Create 50 Magical, Miniature Worlds" by authors Amy Bryant Aiello and Kate Bryant. This terrarium book is full of great photos ready to inspire your next terrarium craft. I enjoyed the fact that the book highlights the intersection of the "crafting" part of terrariums with the "gardening" part. 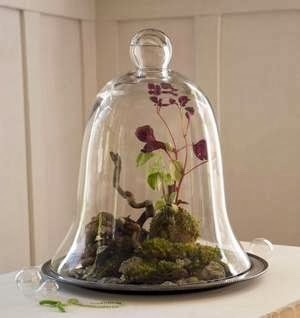 The art of making and maintaining terrariums truly does involve both crafting and gardening skills.